Hide this Dealer (Nitin Agarwal) Discover properties by other dealers by hiding those whom you have already spoken to. You won't see them in your searches further but you can unhide anytime later. Hide this Dealer (Koteswar Rao) Discover properties by other dealers by hiding those whom you have already spoken to. You won't see them in your searches further but you can unhide anytime later. My Home Vihanga is one of the residential development of My Home Group, located in Hyderabad. It offers spacious and skillfully designed 2BHK and 3BHK apartments at very affordable prices. The project is well equipped with all the amenities to facilitate the needs of the residents. Where is My Home Vihanga located? The project is located in Gachibowli, Hyderabad. What size of flats are available in My Home Vihanga? The apartment sizes in the project vary from 1115.0 sqft to 2160.0 sqft. How much is area of 2bhk in My Home Vihanga? 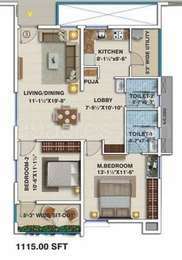 Two-room units (2BHK) in the project are available in an area of 1115.0 sqft to 1275.0 sqft. What is the area of 3 bhk in My Home Vihanga? 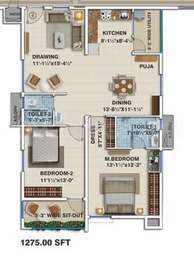 Three-room units (3BHK) in the project are available in an area of 1690.0 sqft to 2160.0 sqft. What is the total area of My Home Vihanga?The project spans across 21.0 Acres. What is total price of 2 bhk in My Home Vihanga? The price of 2 BHK units in the project ranges from Rs. 9500000 to Rs. 11000000.
s in sync with nature and modern techniques they strive to deliver matchless properties to their valued customers. The builders so far have restricted their presence in Hyderabad but reveal their secret desire to explore locations across boundaries. 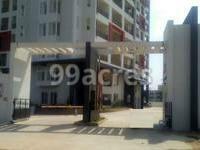 Hi,I am looking for 3BHK Semi Furnished Apartment on rent in this society with Budget of 30K (Including maintenance). Please let me know if any one interested in renting out their flat. Are you still looking? I have a flat in My Home Vihanga.